I am a six-year Ph.D student at Human-Computer Interaction Laboratory of Seoul National University. I am studying Human-Computer Interaction (HCI) and Information Visualization. I am especially interested in visualization and interaction on large-scale data. My recent interest is progressive visual analyitcs: systems that enable interactive data exploration of big data by providing intermediate approximation in the middle of computation. I also love to contribute to open-source projects. You can reach me via e-mail(jmjo@hcil.snu.ac.kr) or Github(e-)! A declarative model for describing and rendering various multiclass density maps. TouchPivot is a novel interface that assists visual data exploration on tablet devices for novices. PANENE is a progressive algorithm for approximate nearest neighbor indexing and querying. Presented in ACM Conference on Human Factors in Computing Systems (CHI 2019), Glasgow, United Kingdom, 2019. IEEE Transactions on Visualization and Computer Graphics (TVCG, Proc. InfoVis), vol. 25, no. 1, pp. 470-480, 2018. IEEE Transactions on Visualization and Computer Graphics (TVCG), to appear, 2018. Proceedings of the 35rd Annual ACM Conference on Human Factors in Computing Systems (CHI 2017), pp. 2660-2671, Denver, Colorado, USA, 2017. Proceedings of the 10th IEEE Pacific Visualization Symposium (PacificVis 2017), pp. 131-140, Seoul, Korea, Republic of, 2017. 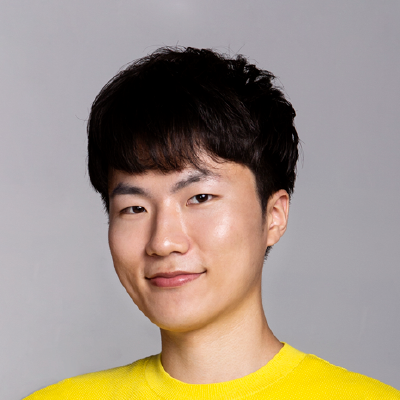 Jaemin Jo is a PhD student at Human Computer Interaction Laboratory in Seoul National University. Interested in Information Visualization, Progressive Visual Analytics, and Pen and Touch Interactions.